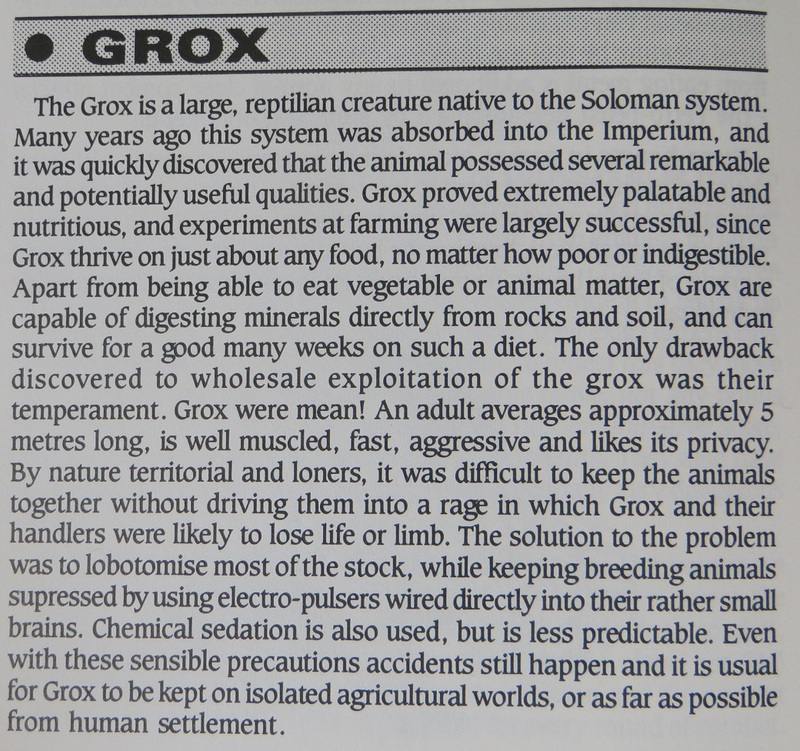 The humble grox is a staple touchstone of 'normal' life in the 41st millennium. 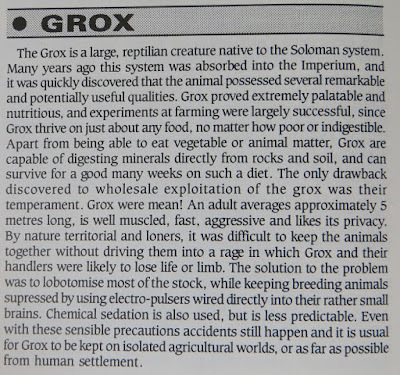 You'll often see references in background text and novels (Dan Abnett regularly refers to juicy grox steaks). 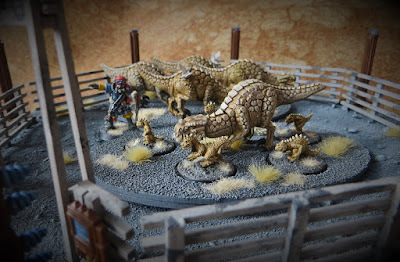 First referenced in the Rogue Trader rulebook, groxen are an excellent inclusion to any farm-based 40k game! The annual Bring Out Your Lead event takes place this forthcoming weekend. A celebration of old-school Games Workshop games in suitably fitting surroundings at Wargames Foundry. 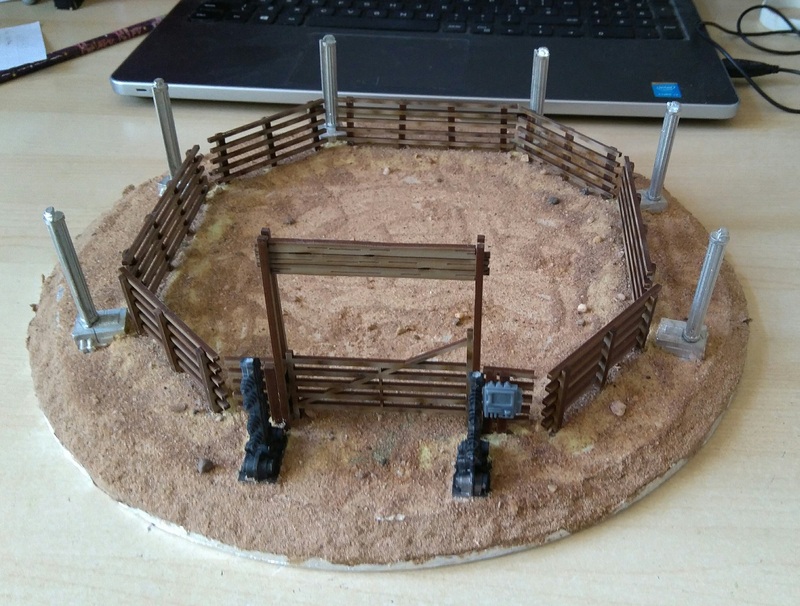 I decided I would run just such a farm-based game - a (hopefully) chaotic insight into the world of grox herding. Of course, a game based around herding needs some animals to be herded. I started off with suitably grox-shaped beasties - predominantly old plastic cold one steeds from Warhammer. 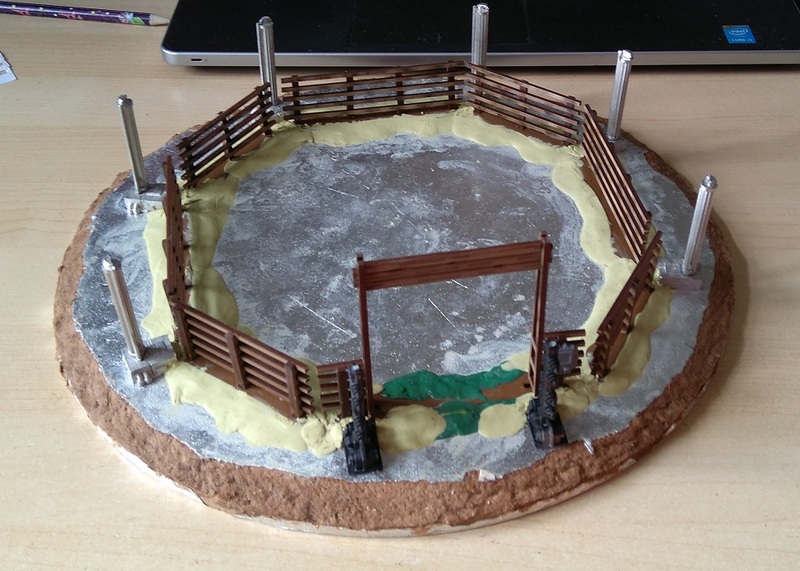 I sourced some large oval MDF movement trays to keep the herds in manageable chunks. Note the Frills and Fauna groks here. I ended up keeping these aside for a separate future project. 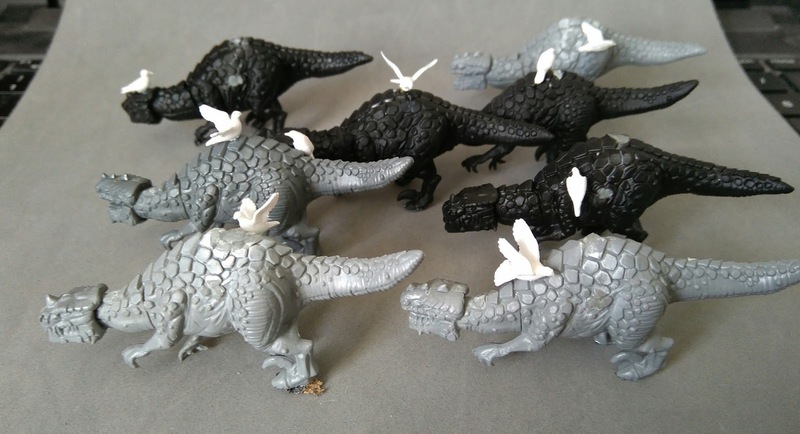 The next step was to increase the visual interest of the beasties with the addition of some tick birds (actually dirt cheap pigeons from China for use in railway modelling). 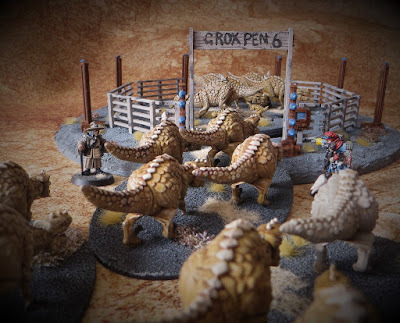 The next step was to develop a plan for the game's objective - a grox-proof corral. I sourced a lasercut MDF old west corral from Sarissa (it doesn't appear to be available currently). This fit the bill fairly well, but after getting some feedback, I was in agreement that it lacked the necessary sci-fi look. 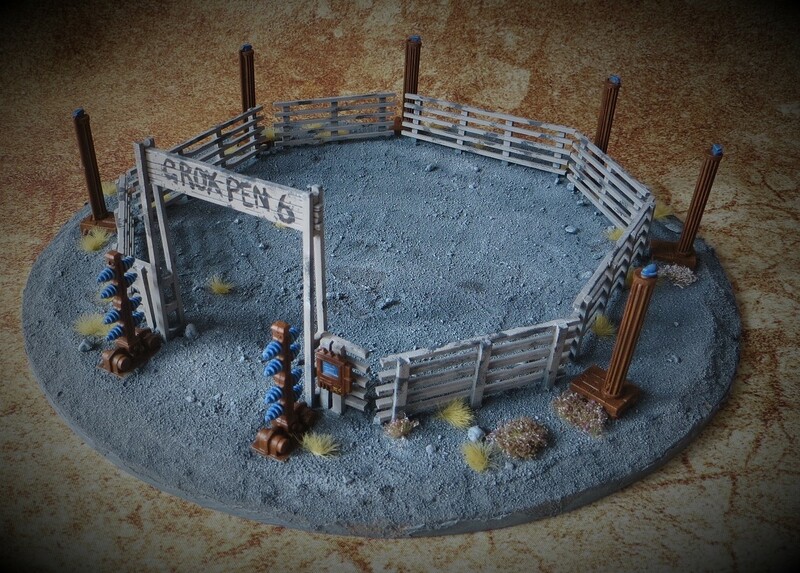 I blended the MDF fence bases into the board using milliput and a little bit of greenstuff. A layer of sand covered all the mess. Next stage was to paint it up. I confess, it was a bit of a rush job, but it works as a scenic piece I think. That is super cool - Very well done! Thanks :) Grox burgers all round! Your a mad man! But that's my kinda man. ;) Awesome work Jon!!!!! Really looking forward to seeing these at the weekend! Putting the little ones beside the big ones give them a real sense of mass and threat. Hopefully they'll live up to expectations! There'll certainly be lots of them. Excellent stuff. Time to watch Jurassic World again. Thanks! Hopefully the overall impression hides the rough edges. Thanks Suber! I might need even more for a stampede! Full report to come in this very blog. Thanks Dai. I'm eager to see how the game comes together too! 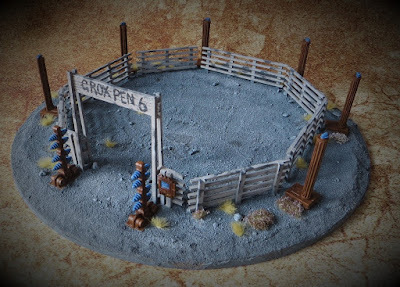 These are great, I would love to be able to find an excuse to model some grim dark farm animals. Hope everyone enjoys the game! I suspect there's lots of potential for it. 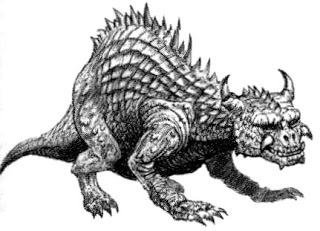 Cyber-skulled pigs perhaps? Great idea - this has worked so well!! Are the wee Grox the small pack from FourA? I've got a pack of those on the go. 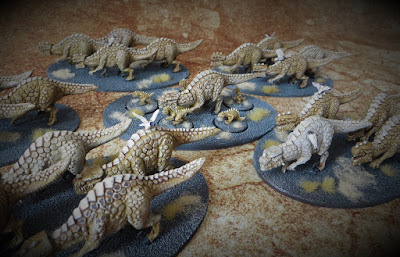 Yes, the small grox are indeed from FourA - lovely little critters aren't they?! Damn!!! that is awesome...I wanna PLAY!!! Have a great weekend. Will do!! Hopefully you'll see plenty of coverage.